New research from the University of Iowa (UI) shows that birds are smarter than we often give them credit for: it seems that pigeons have the ability to understand and discriminate between the concepts of space and time. “Basically, we had pigeons in front of a touch screen and we presented them with a line, which was a certain size and presented for a certain amount of time,” explained De Corte. “And we asked them to judge either how long the line was on the screen or how large it was.” When pigeons correctly reported the length or duration of the line by pecking visual symbols, they received food as a reward. Importantly, the pigeons didn’t know beforehand whether they would have to judge the length of the line or the duration that it was on screen. 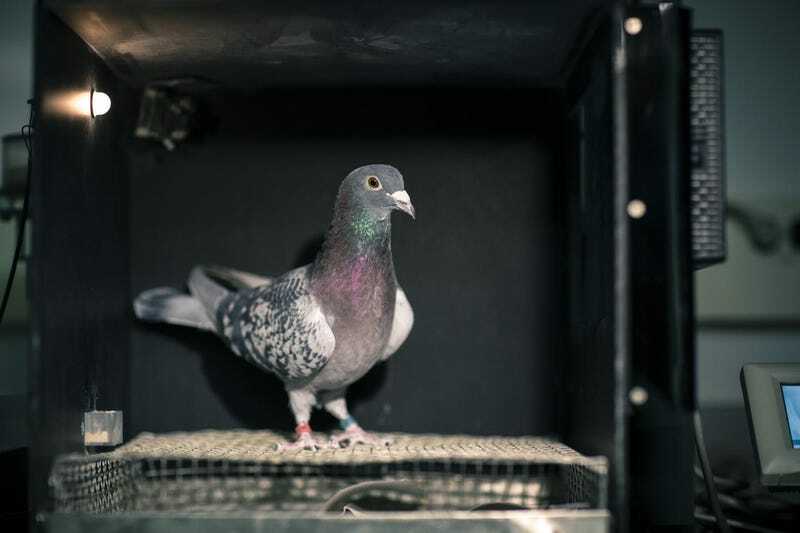 “The task now forces pigeons to process time and space simultaneously because they cannot know on which dimension they’re going to be tested,” Wasserman explained. And of course, it’s not just pigeons: Parrots seem to be able to understand the concept of zero; Crows have been shown to use tools (using twigs to fish out beetle larvae from dead wood, or even bending metal wires into hooks for the same purpose). And researchers have been able to show that crows can understand analogies, causal relationships and solve simple logic puzzles.